The 2017 USAP Forum was a turning point for me. I resolved to revisit the promise I made to myself almost a decade ago as I boarded British Airways from Zimbabwe to the U.S. via London, in pursuit of the college experience. I promised to always strive to make a difference and contribute to the development of my community. To be honest, this is not the first time I have made the resolution, but this time it feels a little different; I have renewed vigor and verve, and a stronger sense of purpose than ever before. “Coming Home” was a fitting theme, as the Forum itself was held in Zimbabwe, where it all began. After 18 years, this was a coming of age, the first time ever for the nearly annual forum to be held outside of the United States. The speakers shared timeless ideas which sparked insightful conversation and learning moments amongst the participants. Over three days, we explored facets of entrepreneurship, finance, education, humanitarian work and the arts, ending with a collective promise to form an Alumni Council to engage USAP alumni and further the goals of USAP. 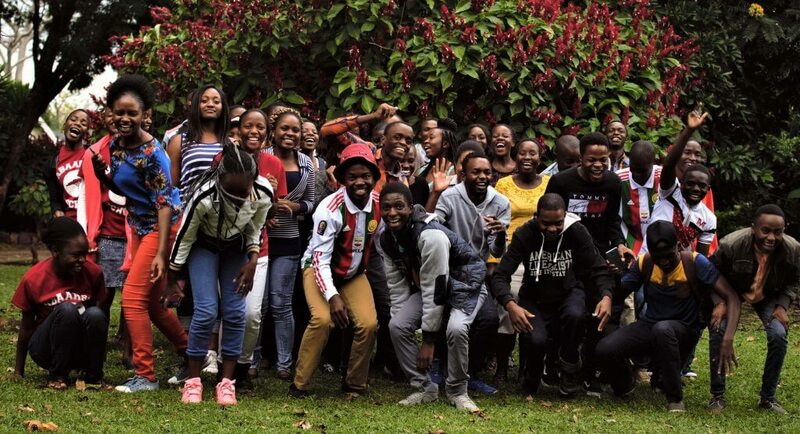 Of course, these sessions were punctuated by a beautiful sunset during a game drive, game-meat ‘braai’, bonding over bonfires, ‘mbira’ vibrations and killer dance moves during the Talent and Cultural show, a staple activity at every Forum. All this happened at Chengeta Lodge just outside Harare, with little to no internet/phone network, so everyone stayed present during that weekend. Listening to Winky D’s “Twenty-Five” song about keeping hope in the face of disappointment and even disillusionment, I realized its parallels to the inspirational stories about vision, grit, and impact that I heard from fellow USAP alumni. It had been a full year since the last forum and the USAP family continues to grow, so we got re-acquainted with a round of introductions. Then we kicked off the forum with “Naija Beta”, a documentary about Nigerian and Nigerian-American MIT students who travel to Nigeria to teach robotics to high school students. I saw myself in the high school students as they pondered the decision of leaving home to improve oneself versus staying put and developing one’s community. I also saw myself in the MIT students as they kindled big dreams in others in a challenging country context, while dealing with small day-to-day problems like how to get 4-by-4 boards on top of a sedan! They wondered if their efforts would even make a dent in the students’ life. I was inspired by the final scene, after the tournament, when the MIT students resolve to plan for the positive despite all the uncertainties around them. Gideon Moyo, Clive Msipa, Ngoni Mugwisi, and Liberty Chigova shared their experiences in technology entrepreneurship, micro-finance, engineering for social good, and education consulting respectively. The question of how one moves from idea to action was persistent in the conversation. In different ways, they all reiterated that a strong local network and personal/family safety net were crucial to building impactful initiatives to solve local problems. They emphasized the importance of setting clear, but flexible long-term goals because the problems to be solved often change and it typically takes 2, 3 or more years to see results. We learnt that ignorance of, and detachment from overly negative narratives as well as purchasing one-way tickets back home can keep you motivated! Every venture, social or for-profit requires capital. There are billions of dollars of capital available – foreign and domestic – but this capital rarely finds its way to African countries, including Zimbabwe. Anywhere Sikochi intends to alleviate this problem through his research by bringing the African business cases into the MBA classroom, studying the factors hindering capital flow, including improved regulation and compliance as well as building long-lasting institutions that can sustainably attract capital. Memory Bandera’s story was that of passion for human rights and empowerment of the girl chid through mentorship clubs teaching life skills to young girls. Memo also discussed a personal dilemma: Is it wise or foolish to quit my job and follow my passion? All of us face this question in one form or another, and perhaps even multiple times as we make career and life decisions. It’s important to carefully weigh both sides. Limbani Kamanga introduced us to a refreshingly new metric with which to measure success – the number of smiles induced! He recounted tales of how he led the introduction of a nursery school and revival of adult literacy classes in a small village in Malawi. He did this much to the chagrin of some family and friends who expected him to instead, pursue a more traditional, high-paying and secure job like his U.S.-educated peers. This “entitlement” mindset is hard to fight against, especially if it goes against your passions. Ultimately, Limbani grew professionally and personally from overcoming operational and emotional challenges as he developed his community through education. Lois Martin shared the intimate story of her father’s and her uncle’s humble origins under the care of their ambitious, strong-willed aunt in Zimbabwe. Like most of us USAP students and alumni, they were both awarded scholarships for education in the U.S. where their focus and hard work was rewarded with success. A couple of important lessons stood out for me from Lois’ story: that all (African) stories have a foundational origin without which future efforts would not flourish and that to make a change that goes beyond your grave, you need to start now using what you already have. So start now, but don’t forget your history. Know thyself – are you an entrepreneur or are you self-employed? Ethel Kuuya “builds better businesses” in Zimbabwe and delivered a paradigm-shifting presentation on how knowing the difference between being an entrepreneur and being self-employed can make or break a venture. An entrepreneurial venture is scalable, high-risk and can survive beyond the founder(s), the exact opposite of self-employment. While Ethel gave examples from the business world, this is also applicable to social organizations – case in point: USAP is an entrepreneurial venture where scalability and sustainability are pivotal. This was Bernard Matambo’s advice on how to responsibly embrace freedom of expression. He emphasized the value of the arts as media for communication and free expression. The ubiquitous nature of the arts for all societies through time and space seems to validate the crucial role they play in society. Despite being intangible and sometimes overlooked, it is possible to ‘feel’ the benefits from engaging in the arts. The forum ended on a high note with a very lively discussion moderated by yours truly. We discussed how to create a USAP Alumni Council which will focus the impact of USAP by engaging alumni and overseeing activities – forums, events, and fundraising to sustain the momentum built over the past 18 years and for almost 500 students around the globe. A Task Force was created to appoint a coordinator, develop a charter and facilitate the formation of the Alumni Council. This exciting work has already begun, and we expect it to revamp the program. As one of the speakers said “Home is where you go when you get lost” and presumably you will find your way. I certainly found my way in June 2017 and I am taking the first steps along my path. See you next year!